All of the oil change packages at PRO OIL CHANGE conform to the manufacturer’s warranty, and will help ensure long engine life for your vehicle. During your short wait while we service your vehicle, we guarantee you will be in a clean, friendly, and very comfortable environment with access to the daily newspaper, satellite TV, or magazines to read. Also, we are pleased to offer you a free beverage of your choice - hot chocolate, tea, coffee or a glass of spring water. Relax and know you are on the hands of professionally trained technicians. 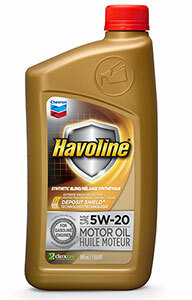 We will replace your old engine oil with top quality engine oil. We offer the full range of oil types: Regular, Semi- Synthetic and Full Synthetic. Unbeatable, nonstop, full-synthetic protection for the most advanced engines, most extreme temperatures and driving conditions, long manufacturer oil change intervals. All the benefits of a synthetic blend protection, plus special conditioners to keep 120,000+ kilometre engines going strong. 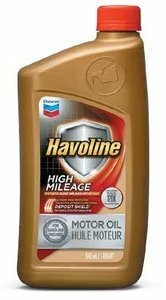 Synthetic blend-level protection for more modern engines, more severe driving conditions, long manufacturer-recommended drain intervals. For normal driving conditions and temperatures. There are many great options for oils available in the market. Synthetic and Synthetic Blends are a great choice. 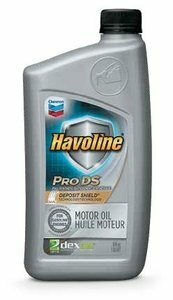 There are also oils designed for vehicles over 150,000km that help prevent oil leaks and oil burn off. Your vehicle manufacture will specify the type of oil you should use for your vehicle. This oil generally meets an industry standard. Some vehicles may require a fully synthetic or synthetic blend, while others may require the use of special engine oils. Our technicians will show you the options your vehicle requires. There are typically two lights that are associated with your oil. The most common light would remind you to change your oil. Most of these lights are set up on a timer or evaluate driving conditions for the vehicle. 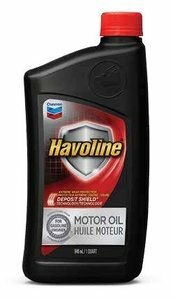 This does not indicate the actual quality of the oil in the vehicle and only serves as a reminder to change the oil. These reminders will be reset during the oil change process by a Pro Oil technician. The second light would come on (service engine soon or check engine) could be related to a lack of oil pressure of abundance of pressure. This is generally a mechanical failure. You should stop driving the vehicle and have it inspected as soon as possible to avoid major damages. Viscosity is the oil's resistance to flow at a given temperature. This tells you how well the oil will flow through the engine at different parts of operation to increase protection and fuel economy. The first number is the cold rating. It’s paired with a “W” which stands for winter. This number will dictate how well the oil will start in cold temperatures. Generally a 0w or 5w. The lower the number the easier the flow. The second number will dictate how well the oil flows at normal operating temperatures. This number is generally a 20 or 30 number. Your vehicles manufacture will tell you what viscosity is best used for your vehicle. A Pro Oil technician will be able to identify the viscosity right for your vehicle and show you what are the best options to go with. How many kilometers does my oil change last? This number varies greatly on many different situations. Your vehicles manufacture will list out mileage intervals based on your driving conditions. Typically this is listed as severe versus normal. While most would consider themselves a normal driver, severe driving includes; stop and go driving, driving over 90kph, driving in dusty, hot, cold or rainy conditions, excessive idling and driving for periods of 10 minutes or less. The quality of the oil, oil filter, and maintenance habits will also dictate how long you can go. As a best practice, Pro Oil will suggest 3 months or 5,000 kilometers. However, it is suggested to look at your manufactures specifications and determine what interval is right for you.